When you have gobs of money, you can turn $80K cars into furniture. 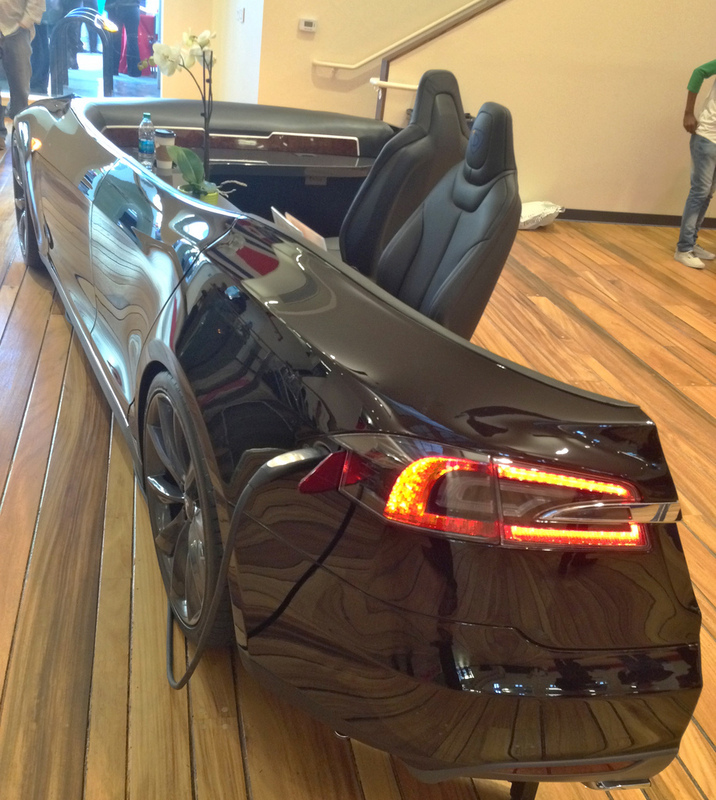 Introducing the world’s coolest reception desk: a slice of one of Tesla’s Model S cars, shown off at the reception for Draper University recently. A program for entrepreneurs, Draper University is the brainchild of investor Tim Draper, and his fund Draper Fisher Jurvetson (DFJ) was an early investor in Tesla. These photos were snapped by the man with the greatest Flickr feed, Tesla investor Steve Jurvetson. East Bay Muscle Cars would like to thank Draper University Hero City for the opportunity to build the first Tesla Desk. You can see the desk at Hero City San Mateo. Calm down folks. I’m fairly certain Mr. Jurvetson got bits and odd parts from the factory/development folks to have this thing built. There’s plenty of that stuff to be had if you know the right people. C’mon, I mean he’s likely got Elon on speed dial. I’ve seen some obscenely stupid VC folks out there who burn money like it’s free, but I doubt DFJ is of that ilk and would throw away $80k worth of car away. Certainly not when there’s folks in Norway willing to pay $100k for that $80k car. There’s revenue to be had there. He should have done that with a Fisker, not an S. The S is worth driving, while the Fisker is really just a work of art. In any case, what a waste of money.